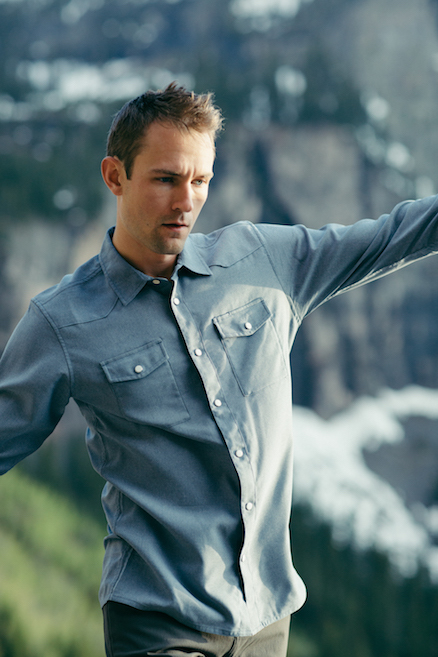 With soft, airy polyester bolstered by durable, air-texturized nylon, the AirLight Western Shirt combines the outdoor durability of nylon with the light, soft feel of polyester. An articulated armhole and mechanical weft stretch give the AirLight Western Shirt an impressive range of motion through the sleeve and across the back. A hidden chest pocket keeps valuables in check, and hidden reflective details under the collar keep you safe after dark. We topped it off with a touch of nano-scale C6 DWR to keep you dry and clean and cut it medium-lean for a tailored look. A 21st-century update on a 120 year old classic. Rugged and technical for every day outdoors, yet clean and casual enough to wear to a backyard BBQ.